Nice photos Will. Out of interest what did you do with them (given that they're a Schedule 9 species)? good question! taken into captivity, rather than euthanased, which would have been the only alternative for the reason you point out. there were around 30 alpines and almost 80 smooth newts. Evidently a nearby pond must be the source of the alpines, but can't tell where this is, due to the high security fencing and thick hedges which all the local gardens are screened by! Should be swabbed for Chytrid if possible..? Might be worth dropping the guys at ZSL a line? Also, keep them away from anything else and keep strict biosecurity measures for them if in captivity. 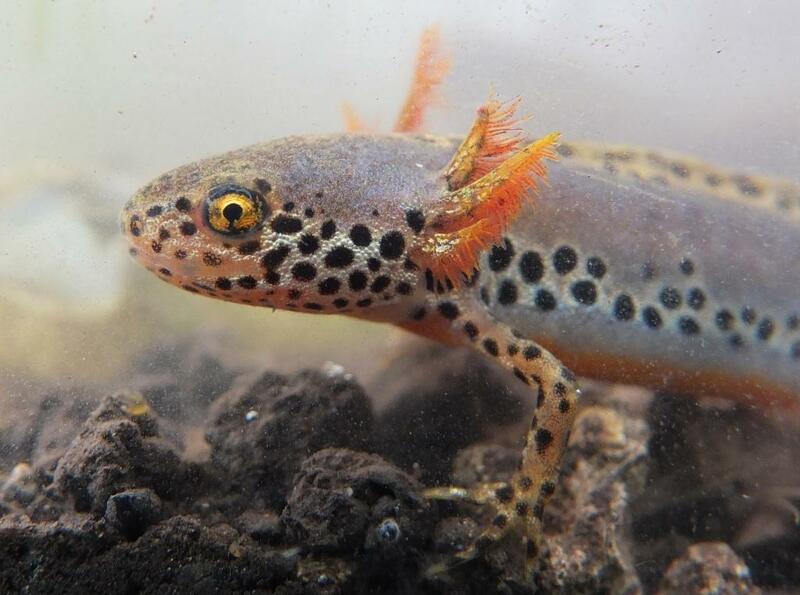 What about the smooth newts? should they stay or should they also be kept in captivity? 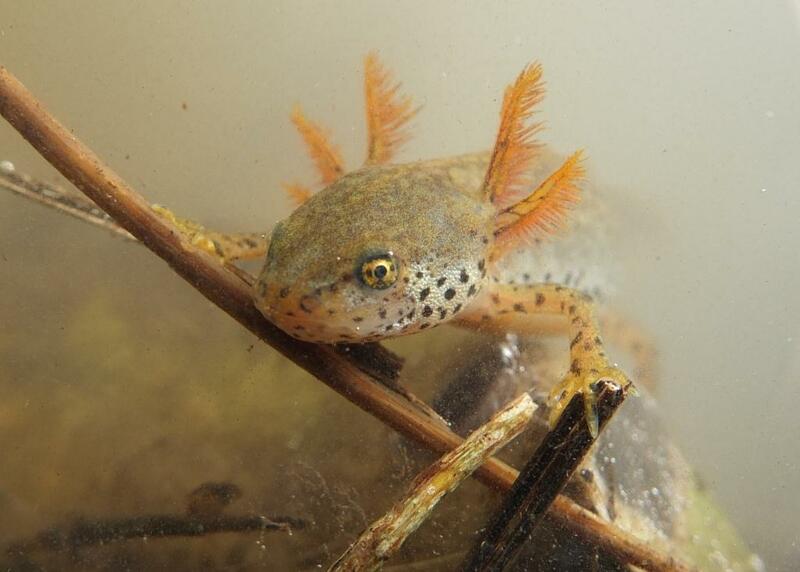 the smooth newts were released in damp grass in the garden in question, either for them to remain terrestrial (most males had no crests, females thin) or to find another waterbody. 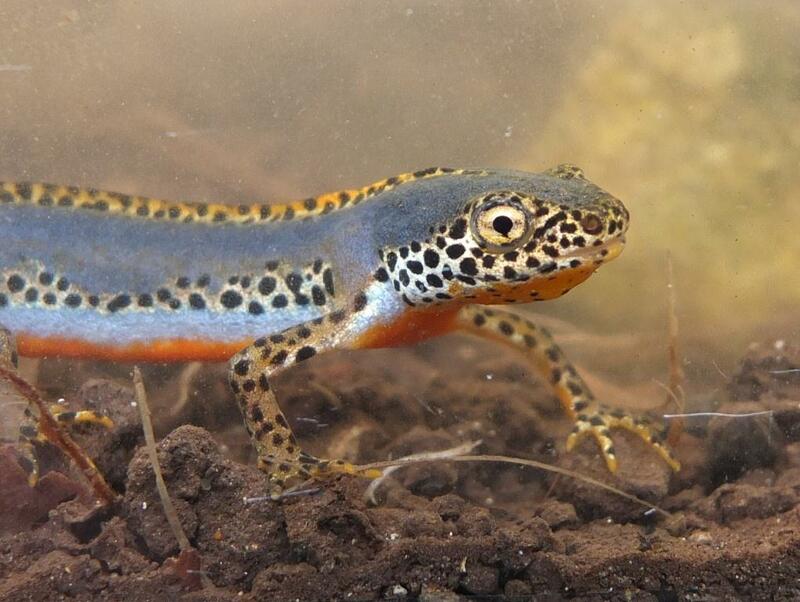 I won't have time to get alpine newts to ZSL; if they want a sample for chytrid they can have one though. -yes, the neotenous ones look good in one of the tanks in the school labs, so I'll hold onto them. Also interested to see if they will lose their gills now they're not in the deep cold water of a swimming pool, too.